0. 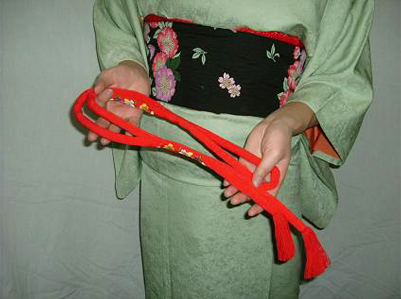 An obijime is a decorated sash in order to tie an obi firmly. 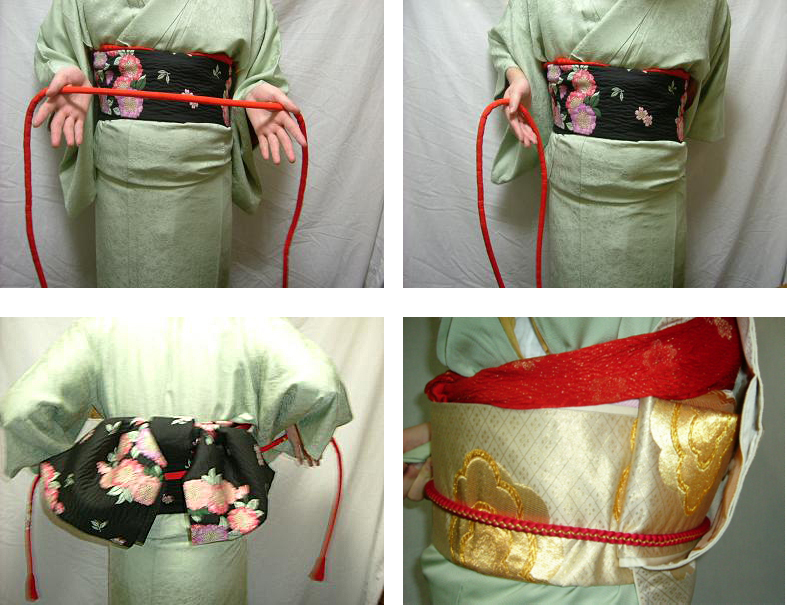 It is very important, when you tie an obi by Taiko Musubi, because Taiko Musubi has no obi knot, and tied with only an obijime, an obimakura's sash, and an obiage. 1. 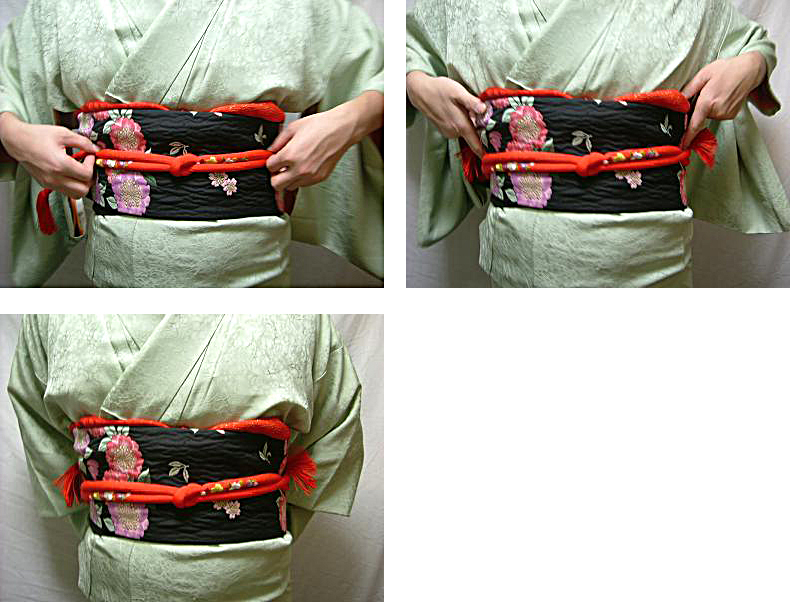 Hold an obijime by both hands, and bring it to the back of your body. When you tie Chyo Musubi, just put an obiage through under the obi knot. When you tie Taiko Musubi, put an obiage through inside the taiko part on your back, and tie over the folded part inside the taiko part at the bottom firmly. 2. 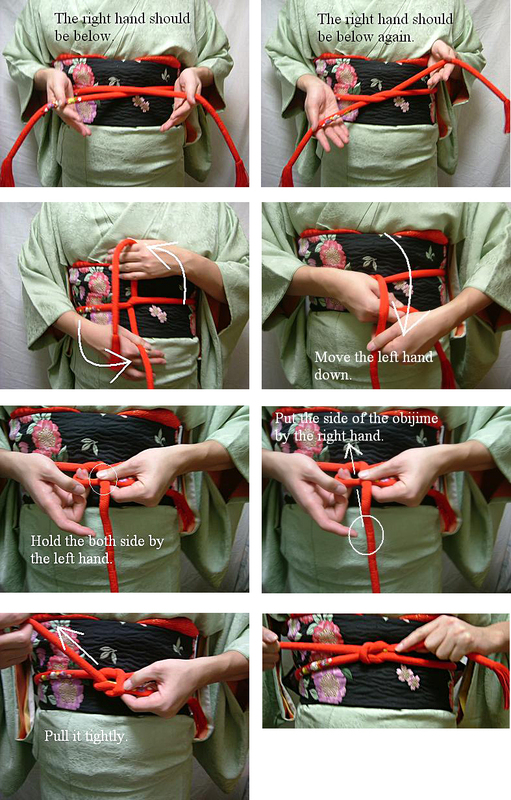 Tie an obijime on the front of your body at the middle position.